Hope you’ve had a great start to the term. We definitely have here, it’s been wonderful to see so many of you back over the past few days. 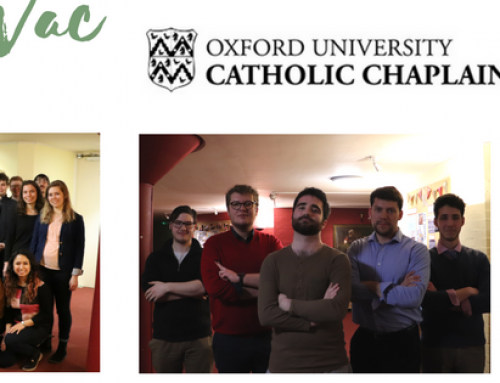 We’ve had an abundance of talks, meals, and prayer times, a Rosary on the Oxford ‘Coast’, and even an Apostolic Blessing! Unfortunately, the Theology of the Body group will be unable to continue this term, owing to other committments. A huge thanks must go to Simone, who led such rich and engaging discussion on this important topic last term. Tuesday is May Morning, and we’re excited to get involved in the festivities! Our morning Mass will be held at the earlier time of 7:30am, and will be followed by a free breakfast and bacon rolls at 8am. Do join us after battling the Magdalen Bridge crowds for some fellowship and food! On Saturday, the annual March for Life will be held in London – thousands of people from across the country will join together in Parliament Square to witness positively to the value and dignity of all human life, and to call upon the government to better protect the rights of those most vulnerable in society. We strongly encourage you to participate in this significant event, if you can!. 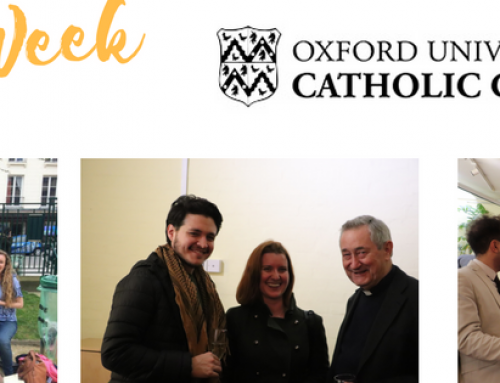 If you’d like more info, please don’t hesitate to email me, or visit the Oxford Students for Life Facebook page (details of their travel plans are given there). Finally, on Sunday, Jesuit Provinical Fr Damian Howard will be presiding over the 11am Mass. Fr Damian is conducting an official ‘visitation’ to Campion Hall and the Chaplaincy. 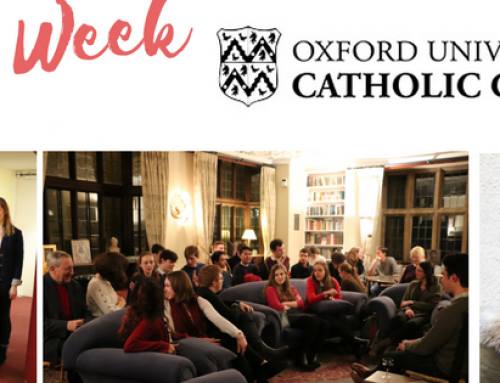 He will be meeting with a small group of students to gather feedback on our life of faith here, and the pastoral support recieved from our Jesuit chaplains. He will also be delighted to meet you all over coffee after Mass, so make sure to go and say hi! Thursday – 8am Mass followed by free breakfast. 1pm – Lunchtime Lectio – nourish your life of prayer with a time of meditation and reflection on the upcoming Sunday readings, accompanied by a simple lunch in The Old Palace Dining Room. All are welcome, and explanation will be given to those new to Lectio. 6pm – Spirituality Series with Fr Ian, Reflecting Prayerfully on the Day – a talk open to all in the Blue Room. Fr Ian will be guiding us through Ignatian spirituality throughout the term – this rich tradition infuses the life of the Chaplaincy. Come along to discover more! 8pm – God in the Quad. 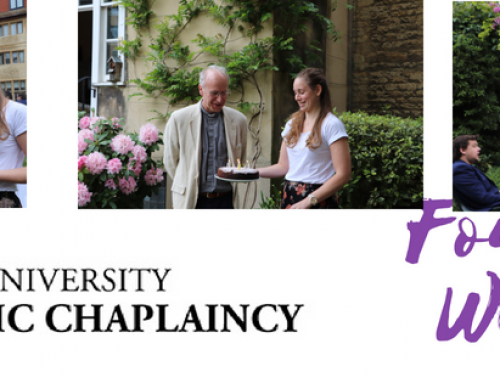 Postgraduate discussion group exploring faith and scholarship with FREE pizza and cakes. All postgraduates are welcome! The biggest event of the week! Join us for a free meal starting at 7pm. For our talk this week, Brenden Gallaher will present on Orthodox-Catholic Relations in the 20th Century. As always, the event will close with prayer and social time at 9:30pm. March for Life – Join thousands of people, of all faiths and non, at the March for Life. OSFL group departing around 9:30am, for more info, please check their Facebook page.